Most devices today come with Bluetooth built-in for easy quick wireless setup, from headphones to wireless keyboards. But what happens if there is no built-in Bluetooth or the internal Bluetooth breaks? There are low cost Bluetooth transmitters that can be setup and add Bluetooth to most any device such as a TV or old stereo. This can be very convenient in many scenarios such as adding wireless to a TV or a car stereo system. With that in mind here is some units we have used with good success along with links to the reviews. 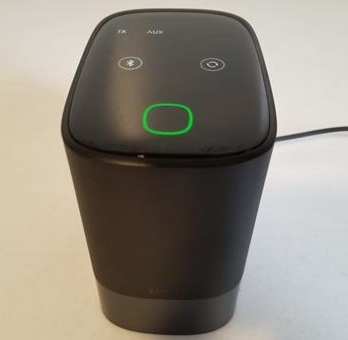 iClever makes the F56 which can transmit or receive a Bluetooth signal. It is nice low cost unit that works very well adding Bluetooth to a TV car stereo, or any deice with a 3.5 mm audio line jack. There is a switch that changes the mode to transmit or receive depending on what it is used for. 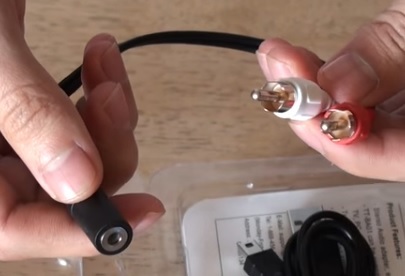 The setup is very easy by plugging it in to a 3.5mm audio line, powering it with a micro USB cable, and pressing Pair on both the unit and device. The unit pairs up automatically with a Bluetooth device and can transmit up-to 30 feet. 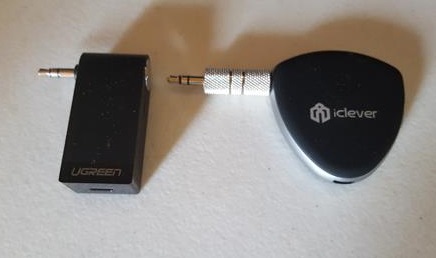 Ugreen makes this small unit that is a Bluetooth receiver. 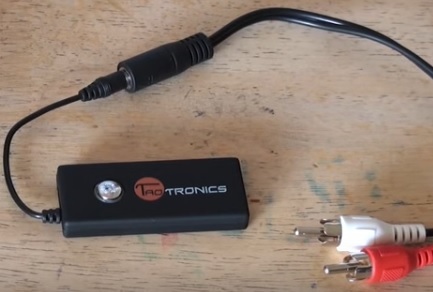 This makes it ideal for converting a car stereo or old speakers to Bluetooth. A device simply needs a 3.5mm audio line-in for it to work. 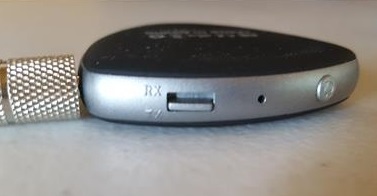 A smartphone or other Bluetooth devices Pair to the Ugreen which converts the signal. A micro-USB cables plugs in and powers it. It also has a Built-in microphone for hands free calling when connected to a speaker with a smartphone. The AUKEY BR-O8 is a good Bluetooth transmitter receiver to setup non-Bluetooth devices. It worked very well while testing transmitting audio nicely. The unit has many more features built-in such as Pair to more than one device and Bypass mode. TaoTronics makes many Bluetooth kits with the TT-BA01U being very popular. It is small and has a 3.mm jack which can be connected to a RCA jack converter if needed. Most devices will have a 3.5mm audio line but it can be used with the RCA jack converter if needed. The TaoTronics TT-BA01U is a good low cost unit that is made mainly for TVs. 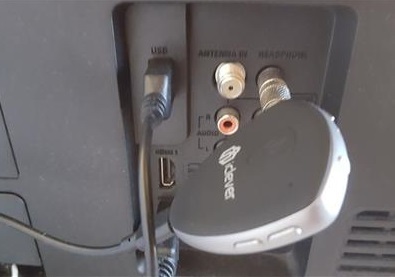 It comes with everything needed to have a Bluetooth ready TV, including a converter depending on the audio outputs your TV has. 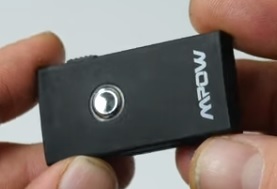 Mpow makes this 2-in-1 unit that can transmit or receive Bluetooth signals. A switch on the side sets it to receive or transmit much like the iClever unit above. This makes it a good all around Bluetooth unit that will work in many different situations from a car stereo to a computer. 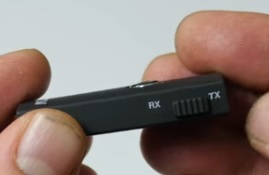 The unit has a 3.5mm audio jack that plugs in and converts the signal. The unit works very well with no lag making it easy to hear the TV sound. There are many good Bluetooth transmitters and receivers available with those above simply some of our picks. 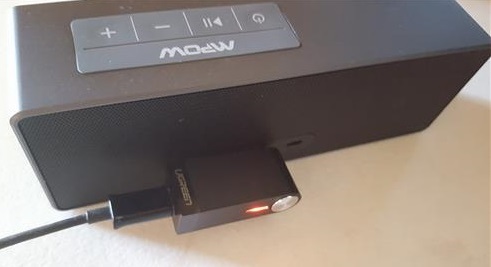 The setup is easy by plugging into a Non-Bluetooth deceive usually through the 3.5mm Audio line-in jack, and Pairing it to a smartphone or other device. These units can be used to convert many Non-Bluetooth electronics to a Bluetooth ready unit, such as car stereos, old speakers, TVs and much more.